Local Law 11 requires the periodic inspection of the exterior facades of all buildings in New York City which are greater than six stories in height. These inspections must be performed once every five years by a Licensed Civil Engineer or a Registered Architect. Upon completion of the inspection, a written report must be prepared and filed with the New York City Department of Buildings (DOB). Additional Information can be found at the NYC Buildings website. Click here to go there now. 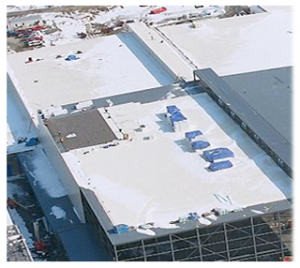 Hayden specializes in turn-key solutions for commercial, institutional, industrial, and residential flat roofing applications of all sizes. The roofing crews are experienced and certified installers trained in a variety of flat roof products and applications. 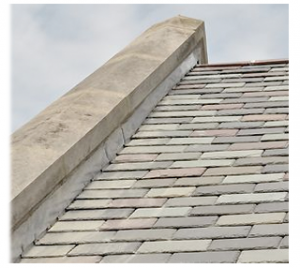 Hayden is devoted entirely to your residential and steep sloped roofing needs. Our team of highly qualified, well trained professionals understand your residential or commercial investment and will work hard to exceed your expectations. Hayden can serve all of your commercial and industrial building envelope needs. 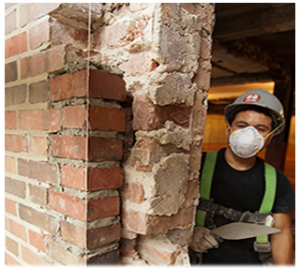 We are confident that you will be very satisfied with our commercial and industrial masonry restoration, waterproofing and concrete services. 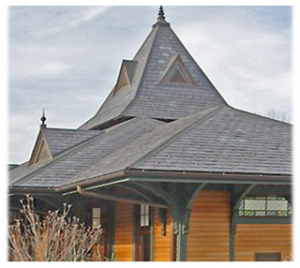 Hayden specializes in residential high-end slate roofing installations. We are happy to schedule a meeting to review and discuss your upcoming project.